Millennium studio is where I, Steven McLoon, design, make and sell fine art, crafts and furniture in wood. The origin of the name Millennium Studio is not what most people expect. The advent of the new calendar millennium was momentous. The failure of the predicted doomsday to materialize with the change in the calendar year was fun to behold, although this was expected by most of us. The new millennium ushered in a sense of hope for world peace and prosperity, a hope that many of us continue to hold in spite of the difficult times so many people are experiencing. And the change in the calendar year was an excuse to throw the first all night party since college. However, the advent of the new millennium is unrelated to the name of my studio. The idea for the studio name came from a visit to the Shanghai Museum in China. The museum has an excellent exhibit of Ming and Qing dynasties furniture. Many of the pieces are over 700 years old. The designs of this ancient furniture would fit into many modern homes today. The impeccable construction of the furniture used the same techniques used today by fine furniture makers, such as mortise and tenon joints. All the pieces are made of wood, and are in near perfect condition. My museum visit showed me that objects made well from wood with good designs can last a millennium. This fine Chinese furniture inspired me to produce art and furniture that will be appreciated for generations, and it suggested a name for my studio. I was born in Europe and raised mostly in the United States. I currently reside in the Twin Cities. I began woodworking in 2007, when I took the Basic Woodworking course at the Center for Furniture Craftsmanship in Maine. Since then, I have taken numerous courses and workshops taught by some of the top craftsmen in the country. I divide my studio time between turning and furniture making. 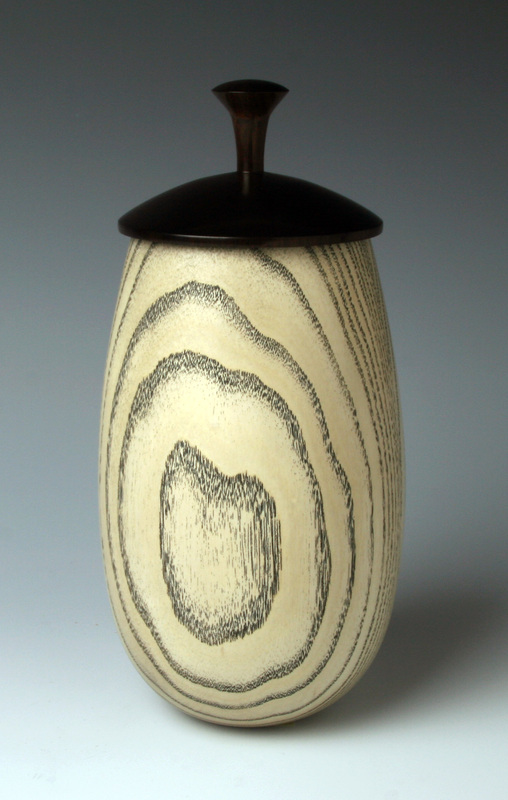 I strive to celebrate the awesome characteristics of natural wood in my work. I particularly like to use the contrast between heartwood and sapwood.